Jaime from Google reminds us in a Google Web Search Help thread about a 1.5 month old search option feature Google added, named "More shopping sites." 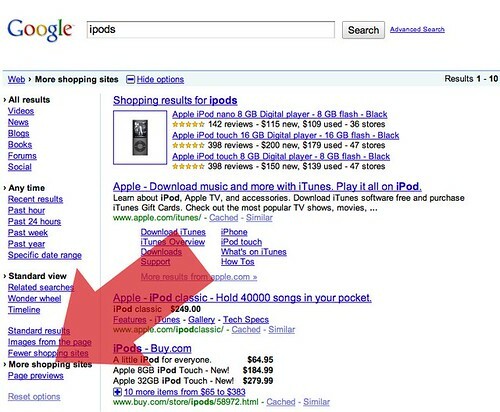 Basically, if you conduct a search on Google, click on "search options" and then click on "More shopping sites" Google will try to show you results from sites selling things. Now, personally, I'll probably stick with using Google to research products and then once I find the sku, use both Google, specialized shopping search engines and Bing Cashback to find the best deal.